The importance of unlocking housing wealth to meet consumer needs in later life and continuing product innovation are ensuring equity release occupies an increasingly central role in the UK, a new report shows. The Spring Market Report from the Equity Release Council shows that over the course of 2018, home owners over 55 years of age accessed 50 pence of housing wealth for every £1 of savings withdrawn through flexible pension payments, highlighting the increasing role of property wealth as a supplementary source of later life funds. As product options continue to expand, with the second half of 2018 seeing the first regular income paying products launch to consumer, the lifetime mortgage market saw the biggest annual increase in new loans compared to other mortgage market segments for a third successive year. Buoyed by continued growth across all UK regions, lifetime mortgages are now estimated to account for around a third of all mortgages taken out by home owners from their mid-50s onwards, compared to less than a fifth 10 years ago. Between July and December 2018 some 43,879 home owners aged 55 and over accessed money from the value of their homes, including 24,907 new plans agreed. However, while total annual lending activity grew for a seventh consecutive year to reach £3.94 billion in 2018, the average amounts of property wealth withdrawn remained broadly stable which the report says indicates that growth is a result of broader uptake rather than increasing loan sizes. There has been rising demand across all UK regions, with the Midlands seeing strongest recent growth and double digit growth in the uptake of lifetime mortgages visible across every region. Over the last five years, the East of England has seen the strongest rise in demand at 158%, the South East up 143% and the South West up 99%. More recently, the Midlands and Northern Ireland have come to the fore, with the East Midlands up 26%, the West Midlands up 20% and Northern Ireland up 21%, the report also shows. It reveals that product innovation continues to broaden the appeal of equity release to suit a widening array of needs in later life. At the start of 2019, the range of product options that meet Equity Release Council standards, backed by product safeguards and independent legal advice alongside regulated financial advice, had doubled to 221 in the space of a year. Over half, some 52%, of product options offer downsizing protection, up from 42% a year earlier. The range of options allowing customers to make regular interest payments, helping to reduce the overall cost of unlocking housing wealth, also increased to 45 in January 2019. These features and flexibilities have had broad appeal across the market with 25% of new plans taken out during the second half of 2018 allowing customers to make interest payments, 27% featuring downsizing repayment options and 87% allowing customers to make voluntary partial repayments with no early repayment charge. The report also shows prudent measures are in place by lenders to keep consumers’ withdrawals of housing wealth in proportion to their age and potential longevity, offering an average maximum loan to value (LTV) of 18.5% for those aged 55 compared to 31.5% aged 70 and 47.1% at 90. ‘2018 saw equity release enter the mainstream of financial services as an increasingly popular way to meet important and diverse social needs in later life. Flexible options to access housing wealth are helping the nation’s growing population of older homeowners to fund lifestyle purchases, satisfy daily needs, support long-term financial planning or assist their families,’ said David Burrowes, chairman of the Equity Release Council. ‘As the demand for equity release grows, so does the need for quality advice. It is vital that consumers have access to professional support that considers short and long-term needs, the broader retirement picture and the role of family in decision making,’ he explained. ‘Products recognised by the council remain the only route which guarantees product safeguards, regulated and qualified financial advice and independent legal counsel to help identify whether they fit a customer’s later life needs. 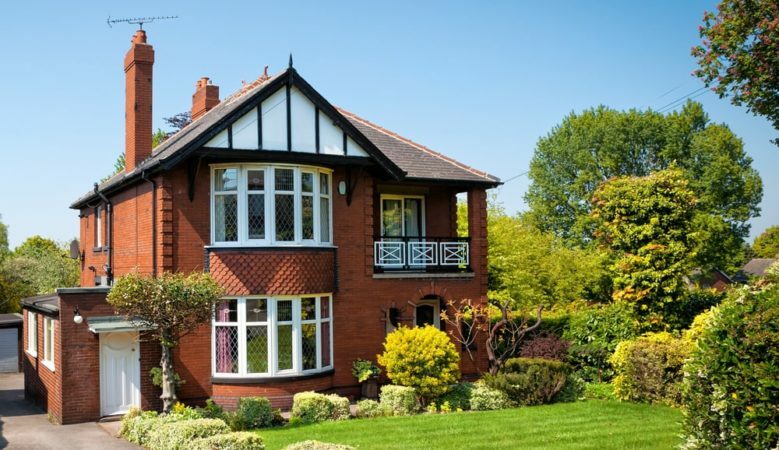 Equity release is not a silver bullet for every retirement need, but a growing number of home owners are finding it can be a solution to meet a range of financial goals,’ he added. Alice Watson, head of marketing and communications at Canada Life Home Finance, said there is little doubt that seven straight years of growth is powering home finance products into mainstream financial planning. ‘Like any healthy market, providers are responding to demand. New and innovative products are providing more flexibility to homeowners tapping into the value of their property, for instance by allowing customers to receive monthly income, make penalty free repayments or guarantee a minimum inheritance percentage to leave behind,’ she pointed out. ‘It is encouraging to see that customers are increasingly aware of the role their property wealth can play in providing the retirement lifestyle they want. With more advisers becoming qualified and continued innovation from providers, there is no reason the equity release market cannot grow even more in the coming years,’ she added.